Remains of a 14th century French Monastery imported, stone by stone, to the United States by the newspaper baron William Randolph Hearst in the 1920s. 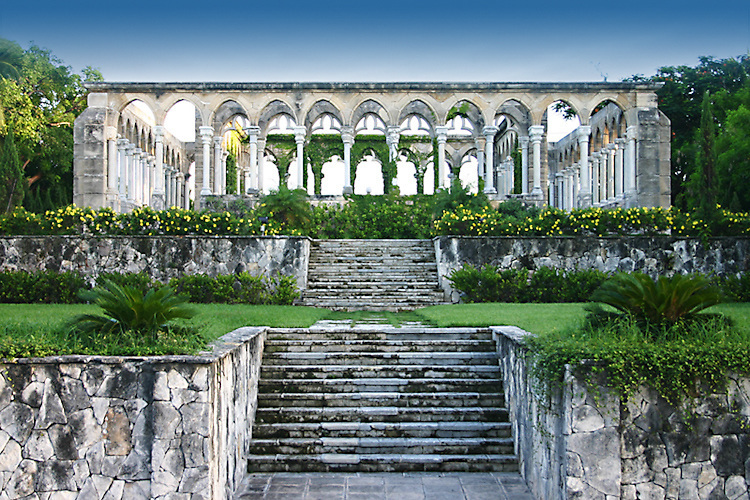 Forty years later the Cloisters were purchased by Huntington Hartford and installed on Paradise Island overlooking Nassau Harbour and New Providence Island. The site is a popular site for weddings.